Duluth, MN: Peter Gemuenden, chairman of GPM, Inc. (GPM) announced Gary Davidson as Director of New Product Development and Research and Michael Dawson as Director of Engineering. Davidson, a longtime GPM engineer and former Director of Engineering, will be responsible for developing new products and implementing a sales strategy for GPM’s new line of mixer pumps. 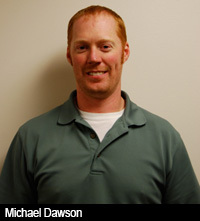 Dawson, a GPM employee since 2006 and former Original Equipment Manufacturing (OEM) Engineering Manager, will oversee all aspects of engineering and design within GPM, as well as coordinating efforts for special engineered products. Both Davidson and Dawson will continue to serve critical roles at GPM as the Company continues to expand its product lines to meet market demands and increase its sales coverage to include the Bakken oil fields and the Western US. 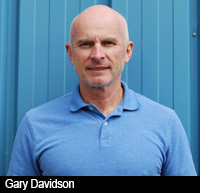 Davidson has been employed with GPM for over 14 years, as both an engineer and also in sales. Most recently, Davidson spearheaded the development of GPM’s new line of mixer pumps, developed for the Department of Defense. This new line of pumps will be used for nuclear waste management, keeping highly toxic slurry in suspension while it’s contained in large tanks. Dawson, formerly of Minnesota Power, has provided engineering support and leadership in the development and manufacturing of GPM’s OEM pump line, the GPM-Eliminator™.